Facilitator Spotlight - MADELEINE! — A.B.L.E. We've been so fortunate to have a team of amazing and dedicated facilitators with us each week, and this semester we're lucky to be joined by some fabulous new faces as well! This week the spotlight is shining on one of those brand new faces- Madeleine! involved. I’m brand new to the A.B.L.E. community, but I’m really happy to be here! spend time outdoors whenever I can. here know about my band girl past. Who is your favorite actor/performer? What do you like about them? life and I really admire that combination of arts and advocacy! South Africa, Iran (where my dad is from) and returning to some countries I fell in love with while in Europe last fall studying abroad. I’m always a big fan of “I’m a Believer” by Weezer. Or also “All Star” by Smash Mouth. Honestly the entire Shrek franchise just has great soundtracks. 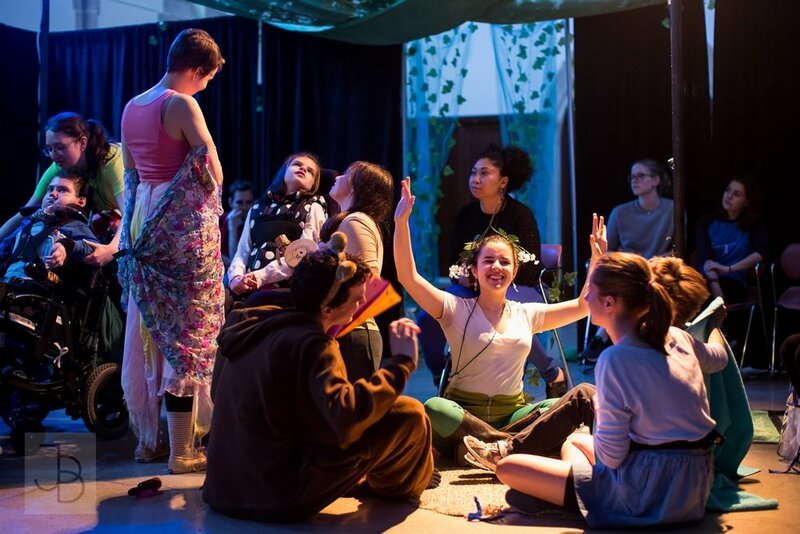 creates original, multisensory theatrical experiences for folks with cognitive differences. reason I’m here now with A.B.L.E. !